These botanical photographs are just stunning! Colours are vibrant and the composition is balanced and soothing. These unique postcards are beautifully printed. I am so pleased with them. The delivery was quick and the customer service was excellent! Will get more cards in the future! Beautiful photographs, great quality! Super happy with these. And thank you for the swift delivery! Excellent customer service. Will be back! With my photography I love to highlight the gorgeous details found in nature when we take the time to slow down. These photos were taken on mindful walks through Amsterdam, in botanic gardens and during my travels. I would love to hear your feedback. 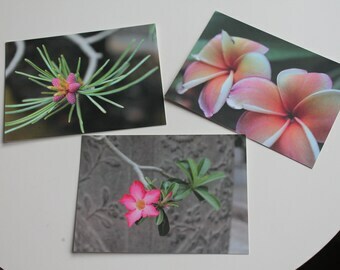 They print the cards with my photos and design.